Category Archives: Global Corporate U.
It’s a story that would’ve added fuel to the anti-immigrant hysteria of the Trump campaign, but at its heart its all about a state firing its own citizens and replacing them with cheap labor. Replacement workers ostensibly hired because of a shortage of American workers able to fill those positions from which American workers are being hired and replaced with cheap labor that happens to come from India. It’s a story about libertarian chickens coming home to roost, the spawn of Proposition 13, the corporate tax giveaway sold to California’s as s savior of the homes of the elderly. Proposition 13 was the long con, devised by Howard Jarvis, a man whose aim was to destroy government [we know because he told us so]. Using a visa loophole to fire well-paid U.S. information technology workers and replace them with low-paid immigrants from India is despicable enough when it’s done by profit-making companies such as Southern California Edison and Walt Disney Co. But the latest employer to try this stunt sets a new mark in what might be termed “job laundering.” It’s the University of California. Experts in the abuse of so-called H-1B visas say UC is the first public university to send the jobs of American IT staff offshore. That’s not a distinction UC should wear proudly. UC San Francisco, the system’s biggest medical center, announced in July that it would lay off 49 career IT staffers and eliminate 48 other IT jobs that were vacant or filled by contract employees. The workers are to be gone as of Feb. 28. In the meantime they’ve been ordered to train their own replacements, who are employees of the Indian outsourcing firm HCL Technologies. The training process was described by UCSF managers by the Orwellian term “knowledge transfer,” according to Audrey Hatten-Milholin, 53, an IT architect with 17 years of experience at UCSF who will be laid off next month. By sending IT jobs abroad, UC is undermining its own mission, which includes preparing California students to serve the high-tech industry. 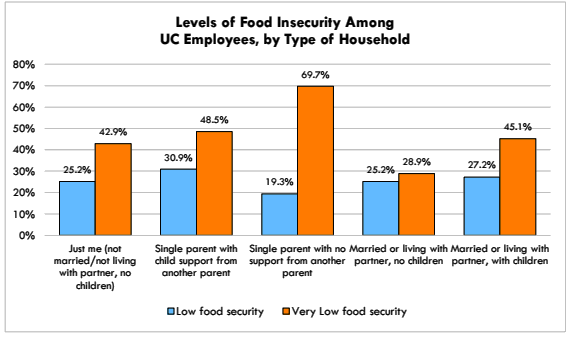 Seven in 10 University of California workers in clerical, administrative and support services struggle to put adequate food on the table, according to a new Occidental College study. The study, set for release Monday, found that 45% of 2,890 employees surveyed throughout the 10-campus UC system went hungry at times. An additional 25% had to reduce the quality of their diet. The problems persisted even though most of those surveyed were full-time employees with college degrees and average earnings of $22 an hour. Peter Dreier, an Occidental professor of politics who conducted the study with two colleagues and the International Brotherhood of Teamsters Local 2010, said the results were startling. Valentine’s Day was anything but happy for workers at the at the Department of Energy’s New Mexico Waste Isolation Pilot Plant [WIPP] near Carlsbad Caverns. At 11:14 p.m., alarms shrieked warning of a radiation release from an exhaust vent moving air out of the underground storage facility. Part of the waste stored in the interim facility [no permanent repository has yet been approved as each site, in turn, proved vulnerable to leaks] hailed from the nearby Lawrence Livermore National Laboratory, where University of California scientists work with others to build next generation nuclear weaponry. What happened that day was an explosion caused by [really] organic cat litter used to fill out drums containing deadly radioactive waste. The blast and subsequent fire released plutonium, the deadliest substance on the planet, and reminded us that in our hubris, we have yet to devise safe ways of containing the products of the military/industrial. academic complex. And now we’re discovering that the Valentine’s Day disaster [previously] is the most costly yet in the nation’s always-troubled nuclear program. Energy Department officials declined to be interviewed about the incident but agreed to respond to written questions. The dump is operated by Nuclear Waste Partnership, which is led by the Los Angeles-based engineering firm AECOM. The company declined to comment. Federal officials have set an ambitious goal to reopen the site for at least limited waste processing by the end of this year, but full operations can not resume until a new ventilation system is completed in about 2021. The direct cost of the cleanup is now $640 million, based on a contract modification made last month with Nuclear Waste Partnership that increased the cost from $1.3 billion to nearly $2 billion. The cost-plus contract leaves open the possibility of even higher costs as repairs continue. And it does not include the complete replacement of the contaminated ventilation system or any future costs of operating the mine longer than originally planned. University of California Berkeley Chancellor Nicholas B. Dirks has handed in his academic robes, the victim of campus sexual harassment and other scandals as well as a petition campaign by faculty members. And that’s after the spent $200,000 trying to polish his image [below]. UC-Berkeley Chancellor Nicholas B. Dirks announced his resignation Tuesday, a week after Linda Katehi stepped down as UC-Davis chancellor. Both leaders had been embroiled in multiple controversies. Dirks faced questions about whether Berkeley was too lax in response to sexual harassment allegations against faculty and how the school would surmount steep budget troubles. The Los Angeles Times disclosed last month that he was under investigation for possible misuse of public funds for travel and the personal use of a campus fitness trainer without payment. The Daily Californian student newspaper also reported that the university had spent $9,000 for an emergency exit near Dirks’s office as a security measure in case of protests. All of this undermined the three-year tenure of a historian and anthropologist who sought to rejuvenate undergraduate education at Berkeley and boost public support for higher education’s great public flagships. Dirks, who took office in June 2013, said he plans to step down when a successor is ready to take his place. When he exits, his tenure as chancellor is likely to have been the shortest at UC-Berkeley in a half century. Edward Strong served in the job for four years, from 1961 to 1965, and Glenn T. Seaborg for three, from 1958 to 1961. In recent weeks, however, pressure for Dirks to resign has escalated. A petition expressing loss of confidence in his leadership was recently signed by more than 45 distinguished professors, including former Academic Senate leaders, members of the National Academy of Sciences, department chairs and heads of research units. “There was a whole series of really bad steps which shows he’s cut himself off and is unresponsive to the campus community,” said Michael Burawoy, co-chairman of the Berkeley Faculty Assn., who signed the petition. She declined, however, to give an assessment of Dirks’ effectiveness. Butler, a faculty member we respect, raises an interesting point. Who were the faculty members who wanted Dirks gone? Dirks came from the humanities, unlike his predecessor Birgeneau, a physicist. The University of California has been reshaping itself in the corporate model, which is why we have dubbed it Global Corporate University. The priority has been on seeking ways to create revenue by funding research for corporations to buy, both in the hard sciences [witness the Amyris debacle] and in the business school. Was Dirks, who traditionally emphasized the importance of the humanities, a field that doesn’t produce all that lucrative intellectual property or churn out tomorrow’s business executives, a man out of place at Cal? As UC Berkeley prepared to eliminate hundreds of jobs and take millions of dollars in loans to help balance its flagging budget, the campus also paid more than $200,000 to “improve the chancellor’s strategic profile nationally and internationally,” The Chronicle has learned. The decision to pay outside consultants of the last year to burnish Chancellor Nicholas Dirks’ global image is seen by some faculty as the latest in a series of missteps — including his kid glove treatment of star employees who sexually harassed students and colleagues and his uneven handling of the campus; $150 million budget deficit — that led to Dirks’ decision to step down. The companies agreed to “increase exposure and awareness of Dirks’ vision for higher education, elevate the chancellor as a “key thought leader” and “form key partnerships” so that potential donors would understand his philosophy. The curious case of the missing monobrow. . .
Coming to Berkeley from Columbia University, where Nicholas B. Dirks had served as executive vice president and dean of the faculty of Arts and Sciences, the new chancellor of the flagship campus of the University of California underwent an amazing transition. So what happened to the monobrow, a furry feature evident in countless photos [for instance] taken before his transplantation to the Golden State from the urban wilds of the Big Apple? And then there are the eyeglasses. In all but two of the images we found doing a Google image search, Dirks wore his specs at a genial, approachable half staff, yet in the apology video he gazes out from behind glass, the lenses interposing themselves between seer and seen. And what’s the deal with the flowers, the white blooms often associated with funerals and death? Maybe its our old anthropological training kicking in, or simply the observation skills honed during five decades of journalism, but our sense is that in coming to image-conscious California Dirks fell into the hands of media handlers. Jack Ohman: Katehi One. . .
As noted yesterday, University of California, Davis Chancellor Linda Kathei [previously] submitted her resignation Tuesday after a scathing investigation report for the UC Board of regents determined that she had misled the UC President, former Homeland Security Secretary Janey Napolitano, about her lucrative side job as a member of the board for the for-profit DeVry University and downplayed her social media politicking. Amyris Inc. [previously and extensively], the much-ballyhooed genetic engineering spinoff created by UC Berkeley with the promise, never fulfilled, of creating cheap, cleaning burning fuel from plant cellulose, has yet to make a nickle, and in it’s latest quarterly report for the Security and Exchange Commission has warned of money woes, possible layoffs, and research cutbacks. But there’s one notable bright spot: The company is working to create genetically engineered microbes for the Pentagon. The Company has incurred significant operating losses since its inception and believes that it will continue to incur losses and negative cash flow from operations into at least 2017. As of June 30, 2016, the Company had negative working capital of $108.3 million, an accumulated deficit of $1,066.0 million, and cash, cash equivalents and short term investments of $2.5 million. The Company will need to raise cash from additional financings or strategic asset divestments as early as the third quarter of 2016 to support its liquidity needs. These factors raise substantial doubt about the Company’s ability to continue as a going concern. The financial statements do not include any adjustments that might result from the outcome of this uncertainty. If the Company is unable to continue as a going concern, it may be unable to meet its obligations under its existing debt facilities, which could result in an acceleration of its obligation to repay all amounts outstanding under those facilities, and it may be forced to liquidate its assets. As of June 30, 2016, the Company’s debt, net of discount and issuance costs of $44.7 million, totaled $181.4 million, of which $80.0 million is classified as current. In addition to upcoming debt maturities, the Company’s debt service obligations over the next twelve months are significant, including $21.0 million of anticipated cash interest payments. The Company’s debt agreements contain various covenants, including certain restrictions on the Company’s business that could cause the Company to be at risk of defaults, such as the requirement to maintain unrestricted, unencumbered cash in defined U.S. bank accounts in an amount equal to at least 50% of the principal amount outstanding under its loan facility with Stegodon Corporation (or “Stegodon”), as assignee of Hercules Capital, Inc. As discussed below, the Company has received a waiver of compliance with such covenant through October 31, 2016. A failure to comply with the covenants and other provisions of the Company’s debt instruments, including any failure to make a payment when required would generally result in events of default under such instruments, which could permit acceleration of such indebtedness. If such indebtedness is accelerated, it would generally also constitute an event of default under the Company’s other outstanding indebtedness, permitting acceleration of such other outstanding indebtedness. Any required repayment of such indebtedness as a result of acceleration or otherwise would consume current cash on hand such that the Company would not have those funds available for use in its business or for payment of other outstanding indebtedness. Please refer to Note 5, “Debt” and Note 6, “Commitments and Contingencies” for further details regarding the Company’s debt service obligations and commitments. The Company also has significant outstanding debt and contractual obligations related to capital and operating leases, as well as purchase commitments. • Effect significant headcount reductions, particularly with respect to employees not connected to critical or contracted activities across all functions of the Company, including employees involved in general and administrative, research and development, and production activities. • Shift focus to existing products and customers with significantly reduced investment in new product and commercial development efforts. • Reduce production activity at the Company’s Brotas manufacturing facility to levels only sufficient to satisfy volumes required for product revenues forecast from existing products and customers. • Reduce expenditures for third party contractors, including consultants, professional advisors and other vendors. • Reduce or delay uncommitted capital expenditures, including non-essential facility and lab equipment, and information technology projects. • Closely monitor the Company’s working capital position with customers and suppliers, as well as suspend operations at pilot plants and demonstration facilities. Furthermore, any inability to scale-back operations as necessary, and any unexpected liquidity needs, could create pressure to implement more severe measures. Such measures could have an adverse effect on the Company’s ability to meet contractual requirements, including obligations to maintain manufacturing operations, and increase the severity of the consequences described above. In a story we missed last September, the Pentagon’s Defense Advanced Research Project Agency coughed up $34.5 million from the agency’s Living Foundries program. And just what is that program? The chancellor of the University of California, Davis [previously], has quit her job in the wake of a scathing ethics investigation report. In addition to enriching herself while serving on the public payroll, Linda Katehi was also the campus boss when one of her police officers, subsequently dubbed the “Pepper Spraying Cop,” unloaded an industrial sized can of pepper spray on peaceful; protestors during the Occupy movement days, earning her endless ridicule in the media. Her attorney, Melinda Guzman, announced the resignation, which UC President Janet Napolitano has accepted. Katehi will stay on as chancellor emeritus and a university faculty member. Guzman said the investigation cleared Katehi of all charges. “Linda Katehi and her family have been exonerated from baseless accusations of nepotism, conflicts of interest, financial management and personal gain, just as we predicted and as the UC Davis Academic Senate found within days of this leave,” Guzman said. UC Davis Police Lt. John Pike resigned after another scathing investigation, headed by William Bratton, the former police chief of both New York City and Los Angeles, but not before becoming a meme, complete with his own website, Pepper Spraying Cop.